Have you ever stayed on a houseboat? 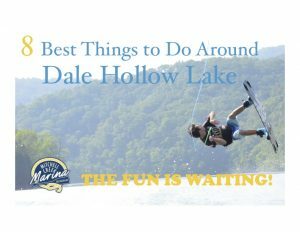 Dale Hollow Lake houseboat rentals are a great way to experience the water. There is no better way to enjoy Dale Hollow Lake than from the deck of your very own houseboat! 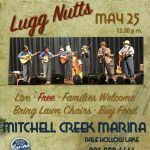 Rent a houseboat from Mitchell Creek Marina. All of our Dale Hollow Lake houseboat rentals are fully equipped with the latest features, able to accommodate adventure seekers of all ages while providing all the amenities your family, friends or colleagues deserve. Houseboats are perfect for family outings, work retreats, girlfriend retreats and small conferences, reunions and gatherings of friends. Cook on a gas grill. Store your food and beverages in a 30″ cooler. Cool off by slipping into the water down the waterslide. Relax on the deck in comfortable deck furniture. Inside, there a television with Direct TV and a DVD player. We provide clean linens and the utensils you need to cook and eat. Bring your food and personal items, and get ready. The fun is waiting! Call 1.866.533.1842 now to reserve your houseboat! Hurry, our houseboats go fast – contact us today!